The H. F. Smith House is a well-preserved example of a transitional Queen Anne Free Classic residence. 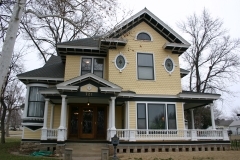 Originally built circa 1886 as a one-story Victorian cottage, the house had significant revisions in the late 1890s by builder and architect Elbert Dumont of Wichita, Kansas who converted the home to a two-story residence. 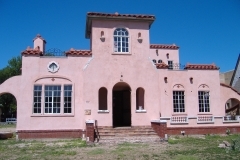 The 1904 Spring Creek School was listed in the National Register on May 9, 1997 for its local significance in the areas of architecture and education. 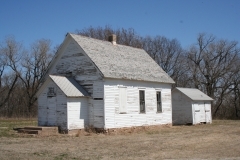 The property’s current owners purchased and relocated the school and three outbuildings in order to save them from demolition. In April 2016 the buildings were moved to a small farmstead seven miles northwest of their original site. 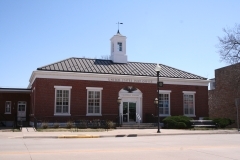 This new location includes another relocated historic school (Belleview School), which is listed in the Register of Historic Kansas Places. In its new location, the school faces the same direction (west) as it did historically, and the outbuildings are arranged to mimic the original site arrangement. 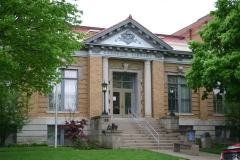 Due to its relocation, it was removed from the National Register (January 13, 2017); although, it remains listed in the Register of Historic Kansas Places.